Grew Up… in West Dallas. Bonnie’s a regular girl by all accounts. The Great Depression wasn’t easy on anyone, though. Living… with her mother. That is, until she met handsome outlaw Clyde Barrow. Now they’re on the run together, driving all over the country. Profession… former waitress turned bank robber. Bonnie was bored with her hum-drum life as a waitress, so when she caught Clyde trying to steal her mother’s car, she decided to join him. Now they’re holding up banks. They’re famous, in fact – in the Great Depression, the common man isn’t exactly a fan of the banks. Interests… escaping her old life and running wild with Clyde. Bonnie’s never been anywhere but her hometown, and the freedom of the open road is intoxicating to her. But she’s intelligent, too, and even writes poetry. Challenge… escaping the long arm of the law. They have the cops, the feds, and a Texas Ranger on their tails, and as their popularity with the newspapers increases, so does the determination to catch them. Personality… intelligent, daring, and bold. Bonnie was made to be something more than just a regular girl. She loves the thrill of robbing banks and of evading the cops. But she has a more sensitive side, too, and she’s getting worried about whether or not Clyde has an exit strategy. 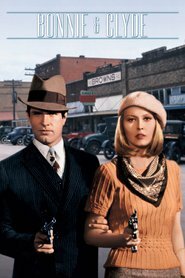 Bonnie Parker's popularity ranking on CharacTour is #1751 out of 5,000+ characters. See our top-ranked characters and read their profiles.